Bit Parts takes an exaggerated and playful look at the everyday object. 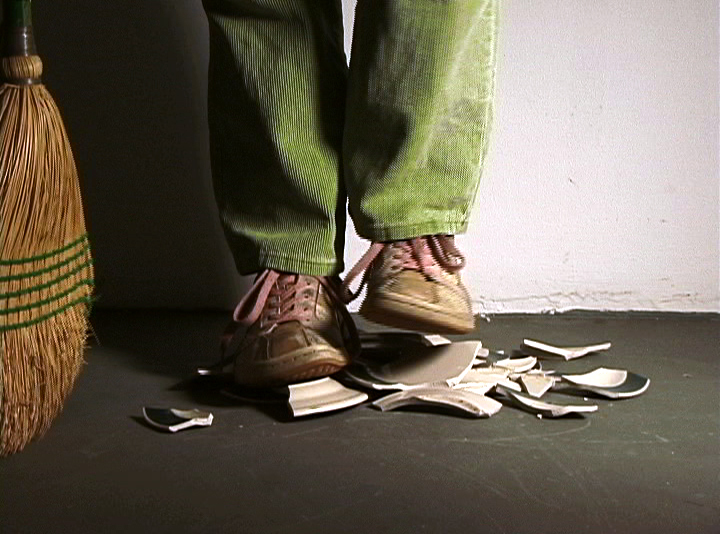 The video isolates everyday objects and domestic tasks into melodramatic proportions. The structure creates one rhythmic act after another through a humorous style of match action editing gone haywire. Delving into the bottomless pit of sound/image clichés, the work focuses on image-sound relationships and the role that sound effects play in creating a narrative. Advancing through a set of film genres, (Slapstick Comedies, Westerns, Melodramas, and Murder Mysteries) the video puts quotation marks and exclamation points on cinematic bits in the place of generating a complete narrative.